Help Aquaduct Plumbing Services, Help Others! Aquaduct Plumbing Services is hosting our 2nd Annual Holiday Food Drive! This year’s proceeds will be benefitting the Kendal County Community Food Pantry which is located in Yorkville, Illinois. Since our new office opened in Oswego, June of this year, we wanted an organization in our new community to benefit. The Kendall County Community Food Pantry assists residents in such towns as; Yorkville, Montgomery, Oswego, Aurora, and Plano. Clients of the pantry may receive items two Thursday’s a month from 2-6pm. The KCCFP even helps with clothing, pet care, and medical care! Families can receive pet food for dogs and cats once a month. With regards to medical care, clients may request primary care, specialty care, and even diagnostic services such as X-Rays. Donations are accepted 24 hours a day through the red donation door. The current donation need list is located on the KCCFP website www.kccfp.org and on our flyer. Volunteers are always appreciated at the Food Pantry! You can register to be a volunteer through the website and send your application to getinvolved@kccfp.org. We are accepting donations at our office with the hours of 9-3pm Monday to Friday. Our office is located at 74 Stone Hill Road Oswego, IL 60543. For special hours to drop off donations or to arrange for an Aquaduct Team member to pick up donations from you, please call our office at 630-504-9594.
please visit www.kccfp.org or call 630-533-0473. Let’s help every family have a bountiful holiday! Aquaduct Plumbing Services Thanksgiving Food Drive Now Till November 13th! It’s November! We all know what that means, the holidays are quickly approaching. In the spirit of the season, the team at Aquaduct Plumbing Services would like to give back to the community that has given us a home, Batavia. We have organized a Thanksgiving food drive to benefit the Batavia Interfaith Food Pantry and Clothes Closet. The Batavia Food Pantry does wonderful work to help families in Batavia, as well are surrounding areas of the Fox Valley Region. The Pantry has been servicing the community for over 30 years and currently helps almost 1200 people a month. The Pantry would not be able to support all of its clients without the generous donations from others in the community. We are currently accepting donations through November 13th in an effort to gather as many Thanksgiving type food items we can to give everyone a bountiful Thanksgiving meal. We are very grateful for the support we have been given from The Batavia Chamber of Commerce who is housing our donation box in their office. If you have donations that you would like picked up, we can make accommodations to do so. For any questions on our food drive please call the office @ 630-504-9594. Working together, we can make a difference! 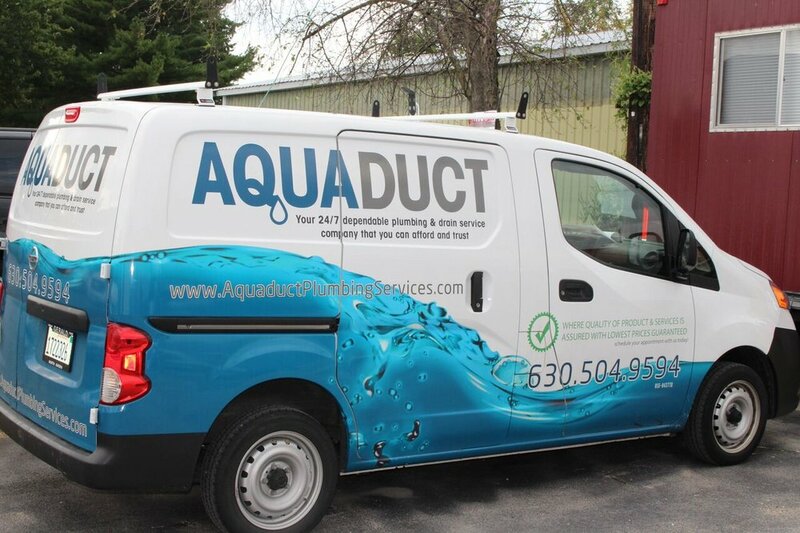 For more Information on the Pantry please visit..
On Friday, September 16th Aquaduct Plumbing Services was honored to be inducted into the Batavia Chamber of Commerce. We are very thankful to join all the other great companies that service the city of Batavia. We would like to personally thank Mayor Schielke, the Chamber members, the Chamber ambassadors, and our wonderful family and friends that came out to support us. 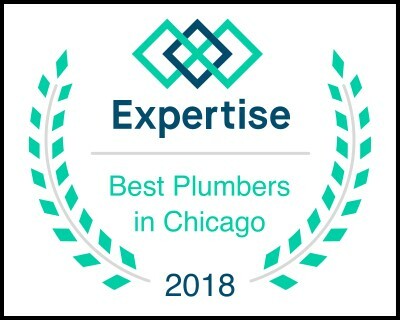 Aquaduct has been given a great privilege to provide our plumbing services to our loyal customers, and we hope to do so for many years to come. Time to talk about Garbage Disposals! First things first, what is a garbage disposal? Well, a garbage disposal or garburator in Canadian English, is a device below a sink that shreds food products so the waste can be easily passed through plumbing. Using a garbage disposal is an efficient way to dispose, no pun intended, of food waste that would ultimately be put in a traditional garbage receptacle emitting odors into your kitchen. Where did the Garbage Disposal come from? The first garbage disposal was invented in 1927 by John W. Hammes, who was an architect from Wisconsin. After achieving his patent on the product in 1935, his InSinkErator disposal system started coming into households nationwide in 1940. However not all municipalities approved of his product. In New York City for example, there was a ban placed on garbage disposals. They were thought to harm the city’s water and sewer system. It wasn’t until 1997 that the ban was lifted after an inspection and approval from the NYC Department of Environmental Protection. By today’s standards, garbage disposals are very common and now used in over 50% of households. Not everything can be processed by a garbage disposal. Here is a list of forbidden items that should never be put down the disposal. Food items that are too hard or fibrous! o Shells from Eggs or Shellfish. Shells grind down into a fine powder in a disposal system and end up clogging the pipes. o Onion peels! They can wrap around the shredder in the disposal. o BONES! Bones are much too dense to be broken up and passed through the system. -All of these food items are easily compostable or should be placed in the traditional garbage. o GREASE! Grease should under no circumstances ever make its way down the disposal system. Yes, when it goes down the drain it is in liquid form, but the grease will cool and harden in the pipes creating a detrimental block to the system. o Your hands. Never put your hands down the disposal from the sink to fix a block or to retrieve an item. So what can go down the disposal? Well…. Only soft texture food items should pass through an InSinkerator, especially if you live in a residence that is higher than the third floor. Always run cold (not hot) water while you are processing anything through the disposal system. Keep the water running at least 30 seconds after putting items down the disposal to ensure all the waste has passed and the water will also keep your system from overheating. You can put some ice cubes down the disposal once in a while. Some believe that ice will help sharpen the shredder, although it does not, it does clear any debris that might be stuck on the blades. Once a month, fill your basin with HOT water from the tap. Allow it to run until you cannot withstand the temperature by touch. 2/3 the rim plate flush. Add 1/3 gallon of bleach. Fill the remainder of the basin with HOT water to the rim. With protective gloves, reach for the drain stopper to release the water and turn your InSinkerator on at the same time. This will allow the bleach to circulate by centrifugal force, and clean the InSinkerator of all living bacteria causing smell. If you tend to have habits of putting larger items into your sink, CUT EVERYTHING DOWN TO SMALLER PIECES! Or, better yet, place items directly in the trash to ensure items can be easily passed through the disposal, it is fundamental items are small in size. Until there is a problem, your sewer system is likely out of sight, out of mind. But waiting until there are symptoms of sewer trouble may be too late to avoid a costly and perhaps damaging repair. If you are connected to the municipal sewer system, everything from the sidewalk to the street is maintained by the city or town. But from your side of the sidewalk to your home is your responsibility to maintain and repair. By keeping your system healthy and properly maintained, you’ll reduce the chance of an unexpected and inconvenient emergency situation. For clay sewer pipes, common in homes built before 1950, invading tree roots can cause breaks, clogs, and costly damage from backups. Because tree roots naturally grow toward any ground water source, weakened or cracked clay pipes that haven’t been properly sealed are an attractive source. Plant trees and shrubs far from sewer pipes when possible, but keep an eye on sewer flow rates for problems if there are existing trees and shrubs near the system. Other types of sewer pipes are less susceptible to tree root intrusion, but can have their own issues, including warping (fiber conduit lines, common in the 1950s and 1960s), and pipe scale (modern cast iron lines). Broken or hopelessly clogged sewer pipes will need to be replaced to restore your sewer system to a healthy state. Grease and cooking oils are among the most damaging substances that can cause problems in your sewer system. Hot, melted cooking fats and liquid oils may seem harmless as they flow down the sink, but they can solidify, harden, and clog your home’s plumbing as well as the outdoor residential and municipal sewer systems. For the health of your sewer system, do not pour oils or grease down the drain, garbage disposal, or toilet. Instead, pour or scrape all oils into a container for disposal or recycling. Your city or county can help you find where to safely recycle or dispose of cooking oils. DuPage County’s or Kane County’s recycling guides are a good place to start. It’s tempting to dispose of some products into drains and sewers that should only go into the trash. Paper towels, diapers, feminine products, and other products that are not designed to be flushed can cause major clogs on your property or under city streets. But even items that would be expected to easily break down can still cause issues, such as large quantities of food forced through a disposal, or stringy and high fiber vegetables. Not only your disposal can be damaged, but plumbing down the line can suffer. A healthy in-home water system will benefit the outdoor sewer system too. Investing in a water softener will be better for your skin and hair, and also prolong the life of your appliances and indoor and outdoor plumbing. Make sure your home’s water pressure is between 40 and 85 psi. Unnecessarily high pressure can stress appliances and plumbing joints. Periodically use a liquid drain cleaner (powders can build up over time) to keep pipes flowing freely. If you suspect your sewer system has a break, leak, or clog—and especially if waste water is backing up into your residence. 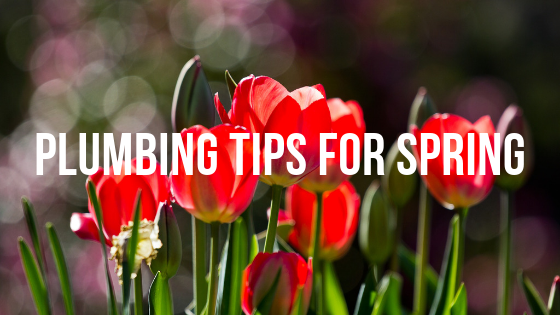 If you want to make changes to your home’s plumbing, including pipe repair or rerouting, adding a water softener, or adjusting water pressure or temperature. If you need to excavate anywhere near your sewer lines. Periodically for regular maintenance to prevent tree root intrusion and pipe buildup as your system ages. What you put down your drains has a big effect on the health of your sewer system, but by also entrusting the pros with regular maintenance, you can reduce the need for an emergency phone call! 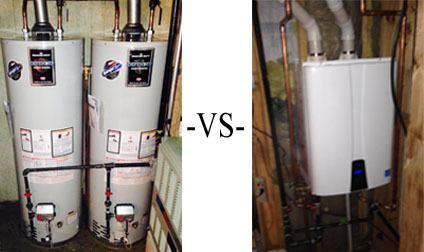 There are two general types of traditional water heaters. Gas fueled water heaters and electric water heaters. Gas powered water heaters require a natural gas line into the home, although some appliances can be converted to run on propane, it is not recommended to do so unless your water heater is an (LP) Propane tank. Gas water heaters work with heating flames to heat up the water stored within. The burner heats the bottom of the water heater and the air in a chimney built into a tank’s reservoir to effectively transfer heat to all of the water contained within the water tank. This chimney also utilizes an air slowing device called a baffle to decrease the speed of the hot air moving through it, allowing the walls of the chimney to absorb more heat from the air, in turn allowing more heat to be transferred to the water. A cold water pipe enters the tank from one side, depositing water to be heated, and a hot water pipe exits from the other side of the tank carrying heater water. Gas water heaters also have a flue for the evacuation of heated air, which will need to be routed through the roof of your home or business. Unlike gas water heaters, electric water heaters heat the water with warming elements directly in contact with the water. Most electric hot water heaters utilize two heating elements for water heating. One near the top or middle of the tank, and one at the bottom of the tank. Once the water within the tank reaches a specified temperature, the heating elements will cycle off. Tankless water heaters heat water as it is needed. They heat the water as it is flowing through the heat exchanger and manifold instead of storing heated water in a tank. This means that tankless water heaters take up less room than traditional water heaters and provide an endless supply of hot water. For those with traditional water heaters already installed. Tankless water heaters will need upgrading to gas pipes an upgrade to the exhaust system, and an electrical outlet for fans and electronics. There are many considerations to take into account when selecting a new water heater. Unless the most obvious reason is because it is leaking. However, first ask yourself or find out how old is your unit? Next decide due to its age, is it worth repairing? *Putting money into a system aged is not a wise investment as it will eventually be an old leaking water heater in need of replacement. Second, Find out what it will cost should you make that decision or advised by a Licensed Plumbing Professional. Third, for Tankless water heater considerations. Seek the assistance of a Licensed Plumbing Professional to take a fixture count of your home to match your needs. Not all systems are one in the same. Always consult a licensed professional for installation. You may think or say to yourself, “I can do this!” However, with the right tools and experience. What could take a professional a couple hours may take you a full day or longer. A licensed professional is bonded and insured. Your attempt may turn into a disaster! Causing you destruction and damage to your home. Your insurance company will not be so willing to stand by your side in this event for any loss incur. It is also important to work with a licensed professional as working with gas water heaters, there is the possibility of carbon monoxide if it is not installed correctly. With electric water heaters you have the danger of electrocuting yourself or even installing the system improper and frying out the unit. Hiring a professional plumber also ensures that gas, electrical, and plumbing lines leading to your water heater are up to code, safe for you and your family’s health and the material used is alike. What kind of water heater should someone who uses a lot of hot water get? For those that use a lot of hot water, a Tankless water heater will be best for you as they provide the greatest volume of hot water. Depending on how much hot water you use, there are various models with higher BTU rates, or that can handle a higher volume of water. The best thing to do will be for you to go over your specific needs with a licensed plumber. Some locations make it more expensive to install certain types of water heaters. A plumber should always take the space and water heating needs into consideration before recommending a specific model water heater. Which one is the most and least expensive to install? Generally, tankless water heaters are the most expensive to install as they take longer to install and sometimes require re-piping, vent installation, and mounting on the wall to ensure that your system is installed correctly. The least expensive installation option would most likely be the same type of water heater that you currently own. This would require the least amount of effort to install your new water heater but the same type of water heater may not suit your current needs. Additionally, if you do not already have a gas water heater, you may need a gas line installed which would increase the price of the install. Should I go with a gas or electric water heater? Generally, an electric water heater is more efficient and cheaper to run over its life when compared to a gas water heater. However, if you live in an area with frequent power outages, you may want to consider a gas water heater as electric water heaters will not produce hot water during a power outage.